Posted on November 20, 2013 at 2:46 pm. All too often, when a home has mold problems, the mold is found hiding in places you don’t often look at. By the time its presence is detected, it has had a chance to really take hold and do damage to your home and possibly your health. Mold can grow in the areas of your furnace’s duct work where dust collects. Then as you turn on your furnace and warm air begins circulating through your house, so do the mold spores that have begun growing. 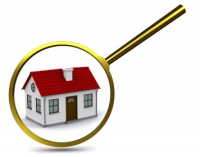 If mold is hiding…how do you know it’s there? 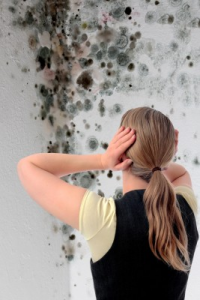 Mold is not only ugly to look at (it can be pink, green, gray, white or black), but it has a distinctive odor. If you have ever smelled moldy food from the refrigerator, you know what I’m talking about. It’s a dirty, musty, moldy, unpleasant smell. It can often be smelled before it can be seen. These odors are a strong clue that mold growth has begun, and it’s something that should not be ignored. Another indicator that you have hidden mold in your home is if one or more persons develop cold like or allergy like symptoms such as sneezing, runny or itchy eyes, nasal congestion or a runny nose. If these are symptoms you already experience, it may cause you to think this is normal. But if your symptoms are worse when you are in your home or business and they ease up or go away when you leave, it is more than likely that your symptoms are brought on or made worse because you are being exposed to mold. Mold can be a serious problem if not dealt with correctly, it’s damaging to your health and to your home. Why is Condensation a Problem? Posted on December 21, 2012 at 12:41 pm. Condensation occurs when warm water vapors, such as steam, turn into small droplets of water as it comes into contact with a surface that is cooler. It’s never a good thing when a homeowner discovers condensation in their home. A little moisture on your windows or even your walls doesn’t seem like it could be too important, but condensation is a sign of problems, either now or in the near future. There is even some condensation you may not see, because it can accumulate on fabrics, carpets or even clothing and is absorbed, leaving the item damp. Because it originates inside your home, it has been called “The enemy from within”. Which is the Biggest Problem? In my opinion, the damage to your home, your belongings and your health caused by mold growth is the biggest problem that condensation can cause. Mold thrives on warm damp surfaces. As the moisture from condensation, that takes place on a regular basis, remains, organic surfaces absorb the dampness. Mold spores, that are always floating in the air, have the opportunity to take hold and begin growing and reproducing. You may think that the moisture on your windows won’t effect other parts of your home, but if the moisture is allowed to remain, it is the prelude to mold. Keep warm, moist air out of the house by always using ventilation fans in the bathrooms and kitchen. Don’t “air” dry your laundry indoors. When you realize that even your breath can cause condensation, I would say overall, good ventilation is the key. Posted on August 16, 2012 at 10:40 am. How Long Before Mold Starts Growing? Because mold is both damaging and dangerous to property and people, it’s important to pay attention to any evidence that it might be growing in your office or home. Water damage comes in many shapes and forms, from flooding to leaks in pipes to too much humidity in the air. It doesn’t take large amounts of moisture to cause water damage; accumulation of condensation on windows or an undetected drip from an under counter pipe is all that’s necessary.The perfect environment for mold growth has been created. 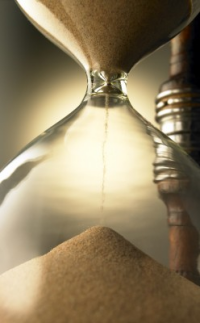 Once water damage has occurred, there is a small window of time, 24-48 hours, before mold will begin to grow, and once it begins it spreads quickly. As you can see from this brief time lapse video of a 2 week time span, mold grows rapidly once it begins. Should You Use a “Mold Test Kit” to Identify Mold? Posted on April 27, 2012 at 10:35 am. Are Mold Test Kits Effective at Identifying Mold? In an effort to save money, many people invest in Mold Test Kits for the home. Some kits advertize results in 48 hours, while others go so far as to say that in 5 minutes you can swab and and have results. The other thing that comes to my mind is: Are you going to risk possible health problems by using a 5 minute mold test kit? Unfortunately I need to tell you that most of these kits are a waste of money, especially when you will probably end up hiring a mold inspector anyway. Although these kits can give you a few answers, some that you most likely already know, they can’t provide the whole picture. Basically they test only for the presence of mold…mold is always present, so this is not new or helpful information. When the mold test indicates the presence of mold, it doesn’t mean you have a mold problem. These kits, because they will almost always test positive for mold, strike fear in the hearts of homeowners who now think they have a mold problem, when they don’t necessarily have one. Mold kits do not inspect the entire home or building. Inadequate outside drainage that doesn’t move water away from the house. As a certified mold inspector, I recommend that you do not waste your efforts on mold detection kits. Not only do they provide you with information that you already know, but they won’t identify what the problem is that started the mold and how to effectively resolve the issue. We can remove the threats to your health and safety caused by mold. What are the Dangers of Mold Spores? Posted on March 21, 2012 at 3:22 pm. If it were possible for mold spores to remain outside, we wouldn’t worry about them quite as much, because when they are outside they are actually performing an important function. Unfortunately, they don’t remain outside, they come into our homes and businesses continuously. 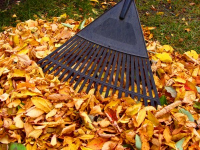 Without the help of mold, we would be overcome with leaves and wood, that needs help to decompose. But that’s outside…inside, mold spores are not helpful. Mold spores have one function; to breakdown organic materials. So whether they are inside or out, they seek out moist, nutrient rich surfaces where they can grow and produce more spores. Because symptoms of mold exposure are so similar to the common cold or allergies, many people don’t realize they are having a reaction to mold. Keep in mind that colds and seasonal allergies don’t last for 12 months of the year. So if you are experiencing such symptoms as sneezing, coughing, watery eyes, wheezing and even chronic headaches for prolonged periods of time, you are possibly feeling the effects of mold exposure. For some, the exposure is more dangerous; it can trigger asthma attacks, other respiratory problems, predominantly affecting infants, the elderly and people who have weakened immune systems or respiratory conditions. Usually when the mold is remediated, people who have these symptoms recover just fine, but there are people who have been exposed for too long and have never fully recovered. If you are experiencing symptoms such as these and you’re in the Seattle Puget Sound area, Bellevue, Everett, or Tacoma, give me a call for a free assessment…so you can breathe easy! Mold Solutions is a full service mold solutions provider, who can remove the threats to your health and safety caused by mold.